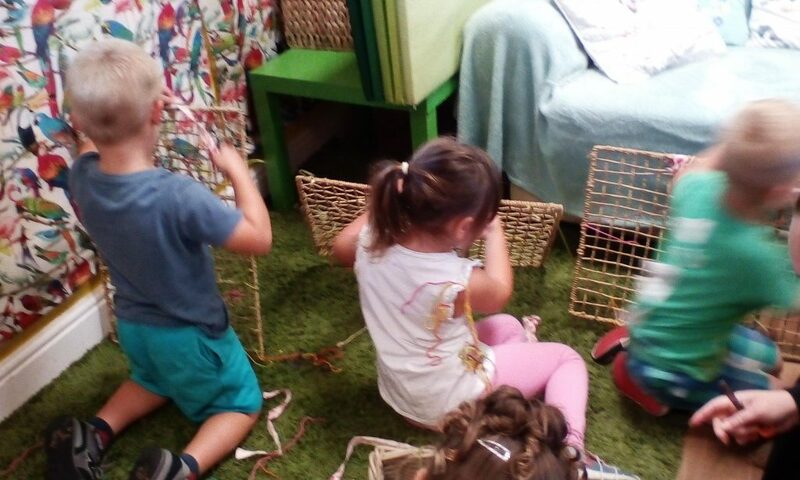 The Big Bumbles have shown great concentr­ation as they became engrosse­d in their weaving activity this morning. The team talked to the children around the weaving process, how they would have to thread in and out. The children all chatted amongst themselves as they decided which material to use.